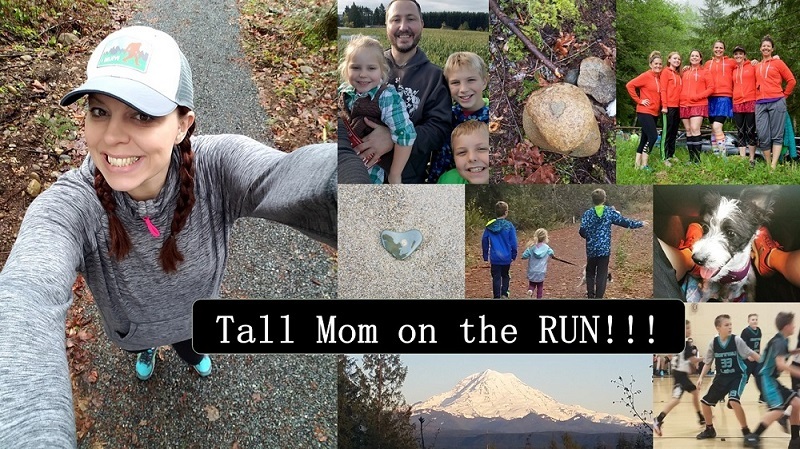 Tall Mom on the RUN: Tall Mom to BOSTON!! Thanks to the AMAZING Jill HERE (or Jilly as I call her) and to Adidas looks like I will have a spot in Boston 2011 after all!! That's right folks, Tall Mom is going to BOSTON!!! I had faith that if it was meant to be it would be and I am excited to have something to be excited about. 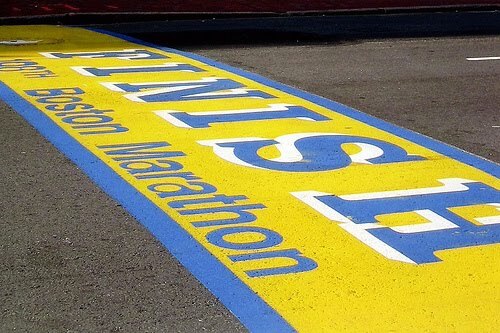 I know Dad will be so PROUD of me as I cross the Boston Finish.. My purpose in running Boston has changed a bit. These past few months I have really loved running with/for others. Who knows where this will take me, but I have a feeling that speedy PR miles are not what will heal my HEART. I want to run this for all of those who cant, or may never qualify. To experience every step and share the excitement. I hope you all will join me on this JOURNEY. Have an AMAZING weekend folks. Life has its ups and downs, if you have faith you may just find the purpose in it all. Yeah for Boston! May the journey help you heal! Can't wait to follow along... from a runner who will probably never ever be fast enough for Boston. YAY fantastic news! And a great reason to run. Wonderful news! Your dad will be smiling through you all 26.2 miles. Awesome - I just found you via the Running Diva Mom. Fantastic Blog!! I just found your blog when searching for bloggers who run. I am just getting back into running after having my first son. I ran during my first trimester then fell off the wagon. I am back on board and training for the Disney half in January, so I wanted to follow some people that will help me stay encouraged and motivated. Both of which you do!!! Thanks! I am also a Physical Therapist, so I am hoping to start posting some vlog's on my blog about various stretches and injury prevention. Should be fun!! I am so excited for you. Now i will have someone to look for. It will be fun to follow your journey as well!!!!!! That's great news - I'm really glad it worked out for you! Looking forward to following your journey! fabulous news, I'm excited for you! I read your blog, but never comment, just want to say two things, sorry for your loss, and congratulations on getting a place in Boston. Simply thrilled for you and I will see you there! No doubt your dad's smiling too. So glad you got in to Boston! You can have my extra miles, I got you covered! That is so awesome!!! Now, what is this connection that miss Jill has??!!! I'm just so excited for you. Congrats. You deserve the Boston journey this year...may it heal your heart in some small way. God bless. SOOO happy to read this news. Can't wait to be a part of the journey. And the rest of my miles for October are YOURS! Mel, I am so happy to hear that you DO get to go to Boston! When Lora caught me up on what was going on, my heart dropped thinking of how rough the whole situation must be. I wish you the best of luck on this goal you've clearly worked SO HARD toward acheiving. exciting and awesome news! woohoo! Oh, I'm so happy for you! i know you will represent all of us who will never run Boston, well! Glad to hear you had a good run the other day. There are many more ahead of you, too! Yay on getting into to Boston! That is great news! So glad for you...it was meant to be! I have a nice list of Boston-bound bloggers going on my blog if you'd like to join in (just email me). We'll figure out a day/location for a meet up as it gets closer. Met to be!! What a nice surprise during such a trying time! congrats! it was definitely meant to be! Lucky you for going to Boston! That's great news! Feel free to steal a mile or two from me. Sharing is good. Congratulations!! I know friends who were bummed about not being able to grab a spot fast enough when it opened. I should have a couple hundred more miles under my belt by then, so feel free to borrow away! Wahoo! Great news! So excited for you! Glad you got into Boston. It was meant to be. Wonderful news!!!!! I agree it was meant to be. I am just catching up and saw your post about your father. I am sooooo sorry for your loss. Your family is in my thoughts. Boston should be about the experience, the reward for getting there. Enjoy it - your dad will be so very proud of you no matter what! Soooo sorry to hear about your dad on FB. I'm SO happy to hear that someone was able to help you get into boston!!! So so excited for you. Looking forward to the journey! So excited for you! Boston will never be the same! Good for you, buddy. that's awesome. glad to see the 'running for others' bug has bitten you. it's my MOST FAVE reason to run! !